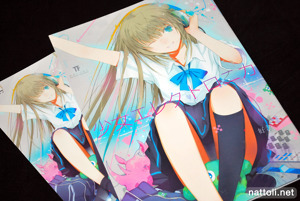 Fuyuno Haruaki released two illustration collections for Comiket 79, one of which was the earlier reviewed collaboration with Ginta called GAINAX Girl Mix and the other being a collection of original works and today's topic of review, Shoujo Electronica. 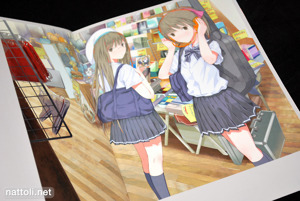 Several of the illustrations in Shoujo Electronica are quite relevant to the theme, with girls decorated by music, but it's not the only style exercised in the book. 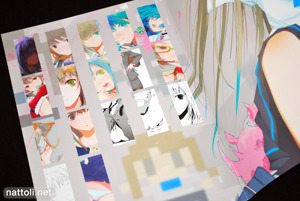 Shoujo Electronica is a B5-sized doujinshi, staple-bound, and 28-pages counting the covers. It's not entirely in color; there are three pages of monochrome illustrations along with two pages of rough pencil sketches and line arts. There are thirteen full color illustrations in the collection, and every illustration is either a full page or two page spread. 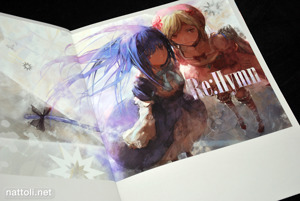 The cover illustration is repeated inside the book, but it's not cropped like it is on the cover. 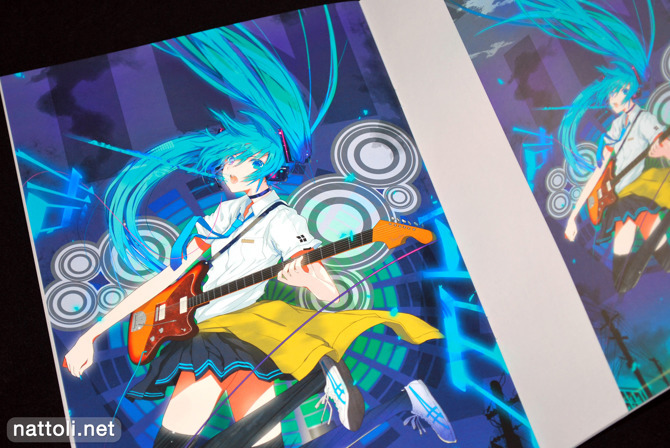 There are a couple of Hatsune Miku illustrations that were used for the Vocaloid CD Monochrome Snow and are easily some of my favorite renditions of the character. Fuyuno Haruaki's contributing illustration to the Spicy Sesame Oil book Ore no Momora (俺の桃ラー) is also included.